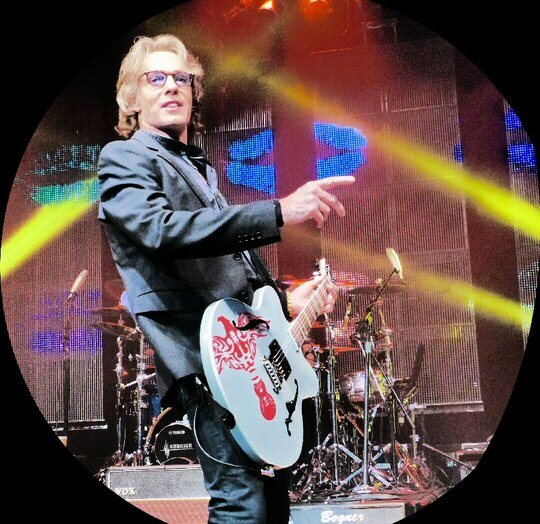 Australian actor, author and singer/songwriter Rick Springfield rocked the Wildhorse Saloon in Nashville, Tennessee over a two-night engagement (February 12 & 13, 2016). Rick has been playing music since the late 1960’s but he came into prominence in the 1980’s with such hits as “Affair of the Heart”, “Human Touch” and “Jessie’s Girl”. Springfield has remained popular in part to his reputation as an engaging live performer. 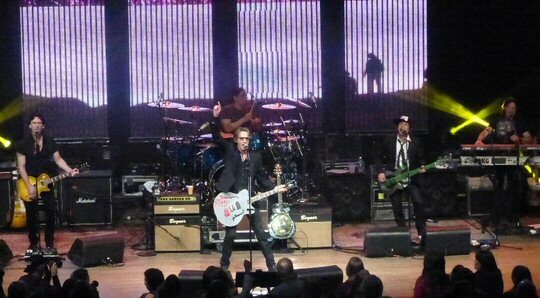 Rick Springfield and band experiment with Rocket Science at the Wildhorse Saloon. Springfield looked fit and trim – still a heartthrob with salt and pepper hair as he took the Wildhorse stage on Saturday evening. He opened with “Light This Party Up” from his forthcoming album Rocket Science. It had a pure radio-friendly format that tackled the issue of redemption. Sure, it’s only rock ‘n’ roll and not rocket science but on this night Rick’s tried and true formula of combining driving songs with captivating charisma was on fiery display all night long. Springfield showcased a number of new tracks during his hit packed set. Rick’s energized versions of “I’ve Done Everything For You” and “I Get Excited” were enhanced with flashing lights and videos which Rick utilized effectively throughout the performance to present a polished production. 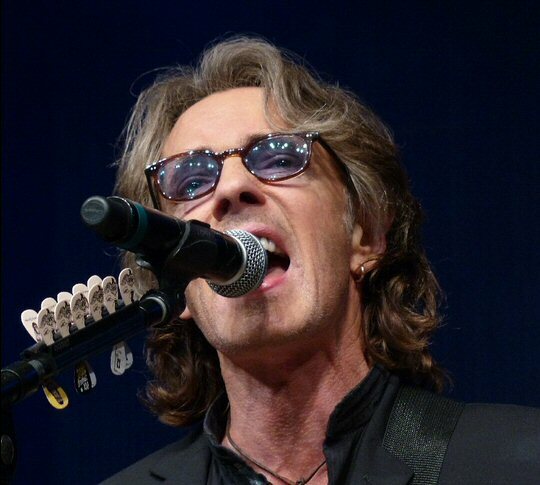 Rick Springfield played two nights to capacity crowds in Nashville. Springfield mentioned the new record stating that it was available tonight and that he would be around after the show to sign them. “Down” penned with a local guy (Jay DeMarcus) was an up-tempo tune about commitment and disillusionment. Rick moved quickly to an animated “Affair of the Heart” and a ferociously good cover of Katy Perry’s “Roar” with lighting and videos again adding to the impact of the song. “Did I tell you I have a new record out,” Rick asked. “That One” from Rocket Science as Springfield explained was about “someone who craps all over us”. Springfield confessed to have been both the “crapee and crapper” over the years. Despite the subject matter it was catchy. From what we heard the new material on Rick’s 18th studio album is serious pop-rock with elements of country paired with the all-important hook. Armed with a Dobro Springfield introduced his fans to “Miss Mayhem” with her compelling chorus. Departing just a bit from the concise hit format Rick with his talented team surfed through “Wipe Out” (The Safaris) and a Hendrix inspired interpretation of “Wild Thing” proving Rick is apt on the axe, too. Springfield also presented an expanded “Don’t Talk To Strangers”. He pointed his mic out to encourage the capacity crowd to sing the chorus. Next, Rick invited three kids on stage to assist. At one point Springfield exclaimed “where were you last night, all we had was out of key adults”. Rick was referring to the Yahoo live stream that took place on Friday evening. Musician, actor, author and still a heartthrob – Rick Springfield. During “Human Touch” Springfield left the stage to mingle with fans. He traveled as far as the second tier at the Wildhorse Saloon creating a bit of fun chaos as fans shifted in an effort to touch him. “Love Somebody” was the lively closer before they returned for an electrifying encore that featured guest drummer Jack White, singer Tom Keifer and Matt and Gunner Nelson. It was a triple play of classics – “Jessie’s Girl”, “I’ll Make You Happy” and “Kristina”. 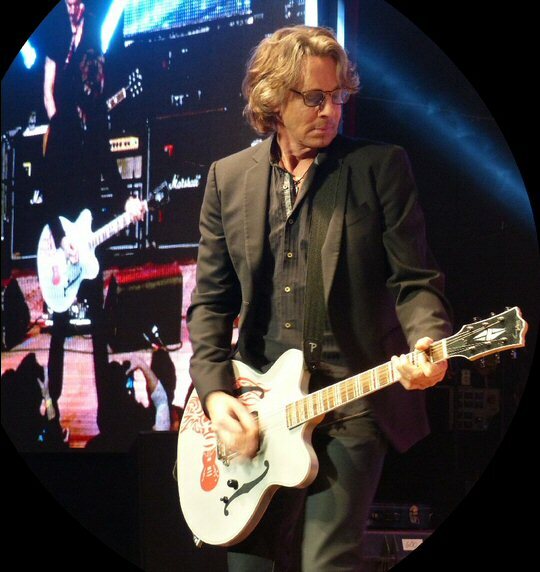 Rick Springfield rocked Music City with an excellent mix of past and present material. 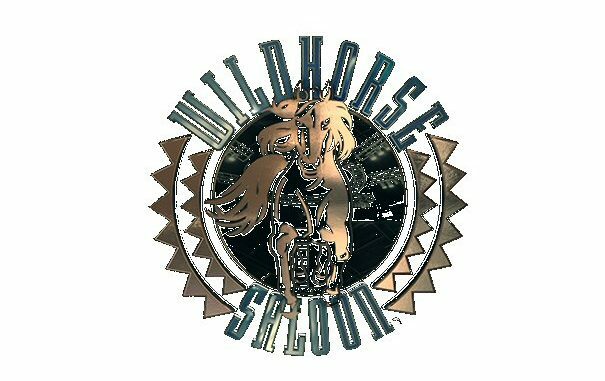 The Wildhorse Saloon in the heart of downtown Nashville continues to host polished professional artists such as Rick Springfield. The venue is a mix of general admission and tables. Drinks and food are available at this three-story space. Rick is best-known for “Jessie’s Girl” but his axe skills are top notch, too.